This recipe is amazing! We originally got the marinade recipe from my Great-Aunt Nancy. If I remember correctly it was when I was in the eighth grade. So it was (ahem) a few years ago. 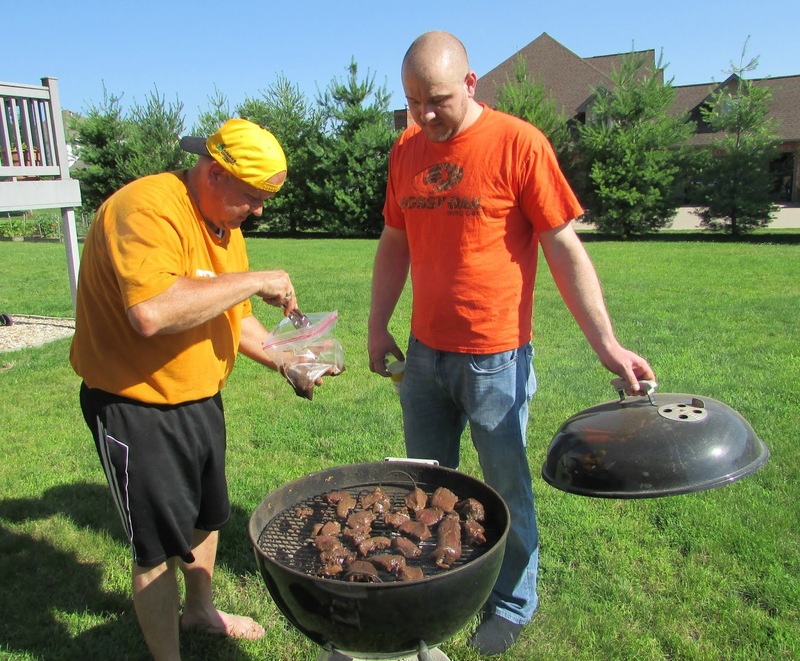 We went to visit them in Virginia and she marinades thin strips of steak in this and cooked them on the grill. It was delicious and unlike anything we had tasted before. So of course we asked for the recipe. It was my job to jot it down. I still have the recipe written in my grade school handwriting! Early on, MiMi and Pops would make it much like Nancy did. It was a hit every time. Then pops marinated a venison backstrap in it. Oh my! It has been a family favorite ever since! Rather than slicing the backstrap thin like a more traditional bul kogi, pops cuts his deer loins into larger medalion type cuts and soaks them in the marinade. That way he can grill them to a medium-rare type doneness. That is the best way to have deer loin in our book! Everyone in the family loves it, and if he makes it for extended family it is gone in a snap. I have never seen somebody try it and not like it. 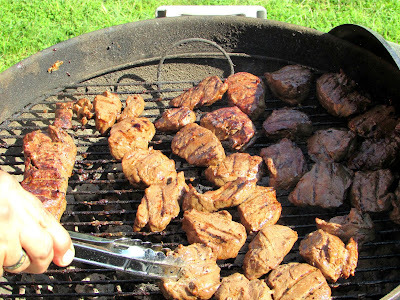 Of course this marinade is still very tasty on beef, so if you don't have venison don't feel like you can't enjoy it. This recipe is still a good one for anyone's arsenal. 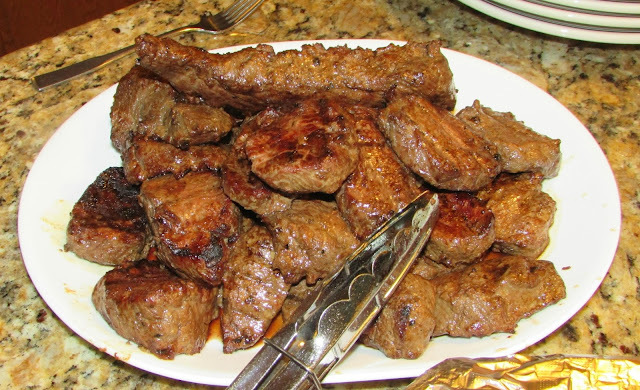 Mix all ingredients and marinate steak for several hours. I was just talking to Nancy yesterday and mentioned how much we enjoy this recipe. We had so much fun and good food when we visited them. Maybe we should ask her for more of her favorite recipes. Her Frango mint pie is etched in my mind. My favorite candy made into a pie. Yum. That is fun! We should try to get more recipes from her! It is sooo good! The way she fixed it was a lot closer to the Korean origins of the recipe. The basic recipe is the same, but the way we fix it has evolved over the years. We have been eating it the way you see it pictured for quite a few years now and we all love it! I hope you try it and love it!! I almost can't imagine a deer loin done another way now. Thanks as always, Christine! I have a marinade recipe with similar ingredients, AMAZING! Aren't these flavors a great combination? 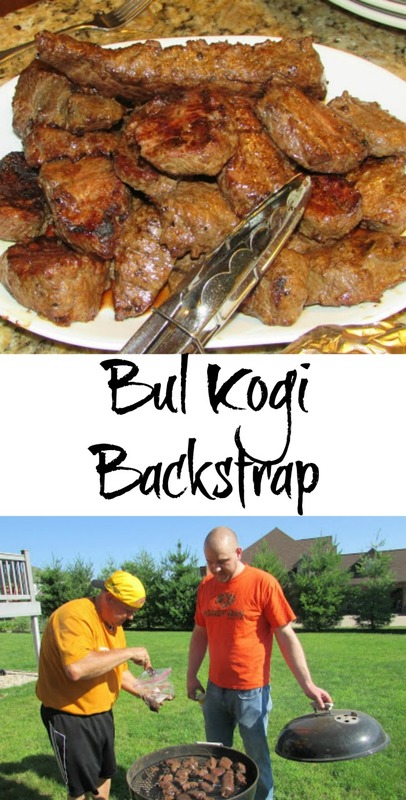 My husband loves bul kogi so I can't wait to try this recipe for him. Thanks for sharing at the This Is How We Roll Link party on Organized 31. If he likes it half as much as we do, you'll be in good shape! Bul kogi is fabulous! I'm going to try this recipe:-) Thanks for sharing at Funtastic Friday. I hope you love this as much as we do! Thanks for hosting! How cool that you have your deer in a traditionally Korean marinade. Thanks for sharing it at the #AnythingGoes Link Party. It is delicious with the deer. Thanks for hosting! I love finding new marinades to try! I'm so glad you shared it with us at #FoodieFriDIY! Sharing! This one is a keeper, that is for sure. Thanks for hosting! Sounds delicious! I'm not a fan of venison, so I'll be trying this on beef, instead ;) Thanks so much for sharing it with us at Talented Tuesdays! It is wonderful either way! Thanks so much for hosting! Oooooh! This sounds fabulous! I've never had venison so I will use beef, but I can't wait to try it. It is super good with beef too! We love it both ways!